This room is beyond delicious, nearly unbearable. 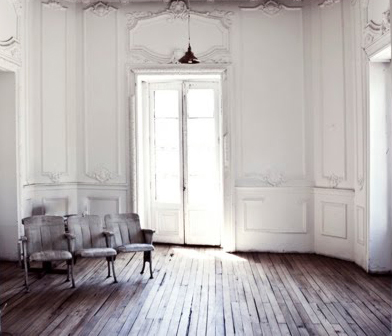 The ceilings are so lofty, I could nestle all my dreams in this space, right between the intricate molding and vintage theatrical seats. Sigh.